I recently returned from a year living in Russia, where the craft beer scene has exploded. Every town from Moscow to Smolensk, from Kazan to Irkutsk is dotted with bustling watering holes stocked with draught craft beer brewed in and sourced from the former Soviet Union. While this is a titillating development for Russians (and those of us popping in and out occasionally), the retail beer scene lags far behind. Humble corner bodegas and lavish high-end grocery stores alike tend to sell the same humdrum selection of light lagers and dark ales, with the occasional German pilsner thrown in for good measure. If you're looking for variety there, well, then, bad luck, chum. Americans can relate. The Boston Beer Company was founded in 1984, during a profoundly bleak season in American beer history where the Millers and Buds and Coors of the world sat on store shelves like so many battered Brezhnev-era cabbages: You'd buy and consume them because there are few other options, but, given the option, you'd probably buy something else. Following the federal legalization in 1978 of small-batch home brewing, innovative and passionate brewers began to slowly emerge in the American beer market. Of those innovators, Sam Adams was out in front. Since then, the pendulum has swung the other way. The humble consumer who encounters a dizzying array of hundreds of products while searching for a simple six-pack of suds may rightly ponder whether a nearly unlimited choice is actually more desirable than a dearth of choice. Shelves groan under the weight of over-hopped brews that are so pungent, finishing a single bottle before it gets lukewarm is a feat. Often, finishing the bottle period is a challenge. Sam Adams '76 is the Boston Beer Company's response to this challenge. In the promotional video for Sam Adams '76, the head brewmaster opines that the "first thing I want people to say about Sam Adams '76 is 'Holy sh*t! It has a really interesting flavor and aroma but is insanely drinkable.'" It's true. Sam '76 is the lovechild of both lager and ale yeast strains, which are co-fermented and blended with a portioned dose of citrusy, fruity, American-grown hops. The result is a delicious beer with a beautiful balance. Not only do the Sam Adams folks know how to make a fantastic beer, but they also know how to properly celebrate it. 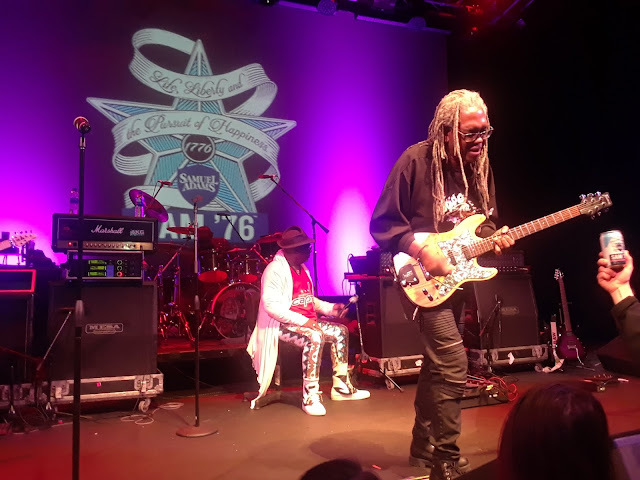 The company’s official launch party for Sam '76 at the historic Howard Theater was one of the best events of 2018. I know it’s still January, but I’m calling it. As if the location wasn't awe-inspiring enough, the beer flowed like wine and the buffet burst with barbeque pork, chicken pesto sliders, mac n cheese, and whipped and mashed potatoes. 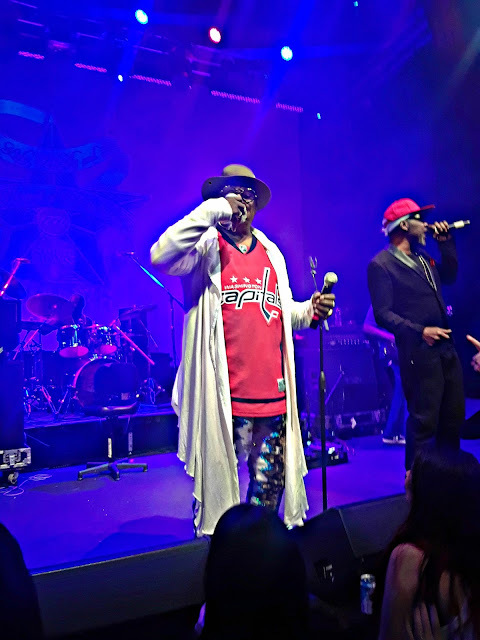 Oh, and George Clinton performed. Yes. The folks at Boston Beer Co. teamed up with George Clinton, the legendary P-Funk leader of Parliament-Funkadelic collective whose singularly remarkable 40-year music career has impacted if not molded nearly every single genre from R&B, soul, funk, pop, rock and roll, to rap (as evidenced by his writing and vocal credits on Kendrick Lamar's To Pimp a Butterfly, which won a 2015 Grammy Award for Best Rap Album). His work also includes a litany of other roles, including host of HBO science fiction anthology Cosmic Slop and author of Brothas Be, Yo Like George, Ain't That Funkin' Kinda Hard on You? : A Memoir. Clinton, who is 76, performed an outrageously out-of-this-world two-hour set complete with the whole P-Funk ensemble including Sir Nose d'Voidoffunk and the legendary Blackbyrd McKnight, whose performance of Maggot Brain was so electrifying that even the folks standing awkwardly around the bar with their hands in their pockets lost their pretense of too-cool-for-schoolness and jammed out. 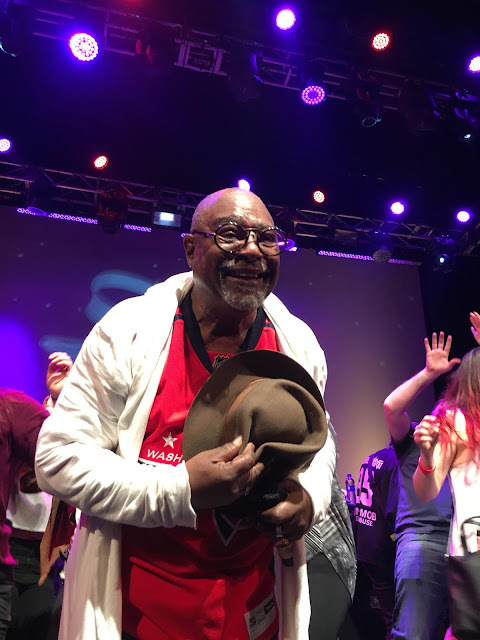 Like George Clinton, Sam '76 is both funky and fresh, an eclectic fusion of different tastes and styles that makes it uniquely its own. And, much like listening to the ingenious, infectious compositions of George Clinton, you can (responsibly) enjoy this beer for as long as the beat goes on. While available nationwide in March 2018, over 240 stores and bars in the greater DC region are already serving up Sam '76. 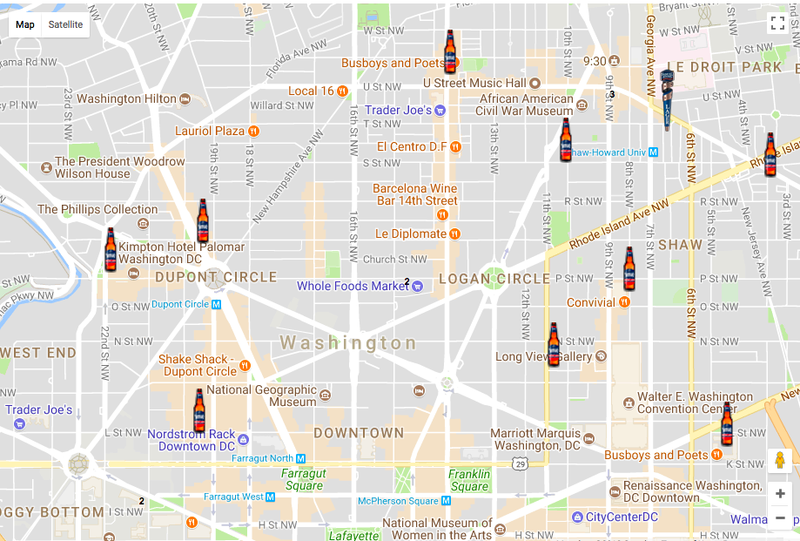 Find the closest distributor to you and pick up a six pack using this handy Sam Locator. I've already got mine.